More than 2400 years ago, in the 4th Century BC, Celtiberians in the Peñafiel area started producing wine. The Romans who occupied the region in the Ist century BC, bound the crop and introduced new varieties. After the Reconquest of the Christian kingdoms in the 11th century, the Cistercian French monks near Peñafiel brought new forming techniques used until nowadays.The Polo family founded this winery "Hijos de Antonio Polo" in 1998. Since then, they have been creating finely aged wines here in Peñafiel, the heart of Ribera del Duero. Teodoro Arenales is responsible for the vineyard and Antonio Polo the winery. The first wine was the 1999 vintage. The property has 18 hectares, divided into compartments planted with vines, some that had been already planted and others of a new planting, all the while respecting the soil. Some vines are 100 years old, others 90, 50 and 15 years old ,we grow our grapes by optimizing the use of the natural reserves of the vine. Our vineyards cover 18 hectares. Some are low bush vines and others are trained on wires which are divided into plots according to the age of the vines. Some are newly planted according to the characteristics of the land and others were acquired already planted. The predominant variety, Tempranillo or Tinto Fino, is a characteristic of the Ribera del Duero red wines, which are elegant, rich and strong.The vineyards of Molino Lobo, La Asperilla and Fuente la Salud are principally situated on the slopes of Peñafiel, which provides excellent conditions to obtain opulent wines. Our vineyards produce 3000 kg. of grapes per hectare.The vines themselves are between 15 and 70 years old and are cultivated using minimal treatments to obtain the best possible grapes from the natural reserves of the vine. Our vineyards are located in Peñafiel, Fompedraza, Aldeayuso, Langayo and Valdezate. 2 Sorting tables, one for bunches, one for grape. 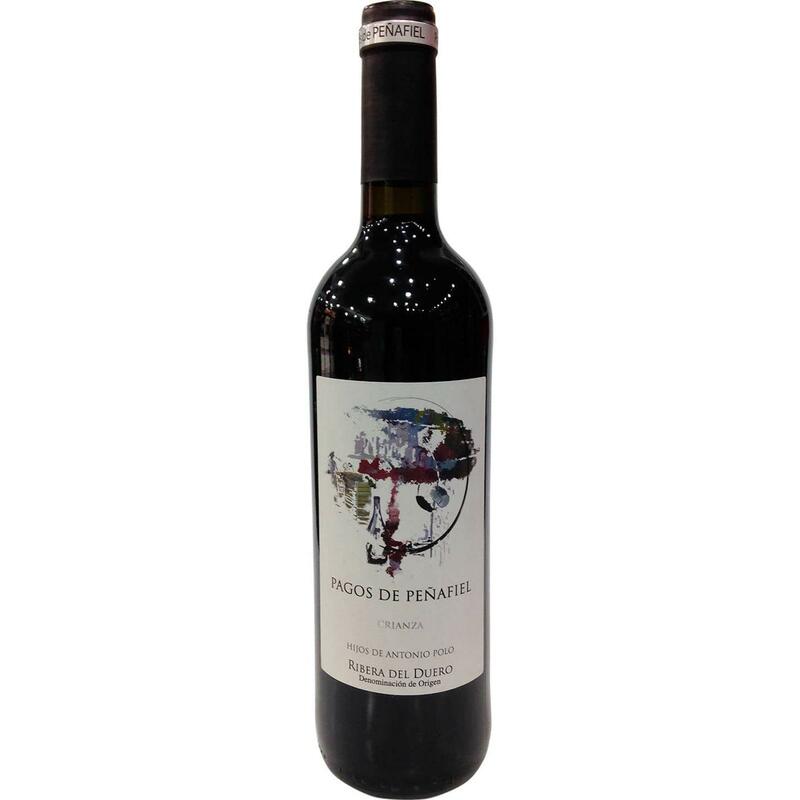 Tasting Notes Cherry purple and raspberries which has intense fruity, creamy oaky notes and juicy tannis, very elegant, predominantly complex aromas, and dry finish. A pleasant aftertaste leaves it light and very subtle.